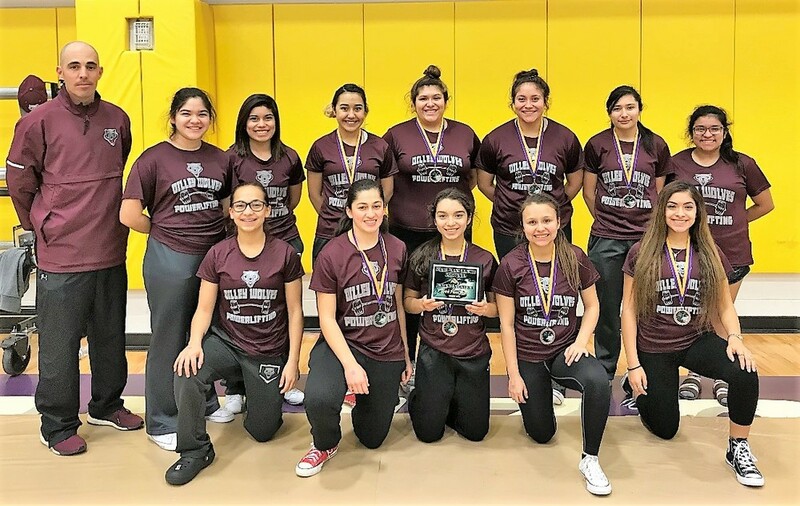 This past Saturday, the Dilley High School Varsity Girls Powerlifting team competed in Carrizo Springs for their third powerlifting meet of the season at Carrizo Springs High School’s Annual 2018 Powerlifting Championship. - Varsity Girls Team: Finished in 3rd Place / 25 points overall out of 10 teams entered. (2017- 4A State Runners Up) Crystal City-68, (2017 -3A State Runners Up) San Diego-37, Pearsall-20, Castroville Mediina Valley-18, Carrizo Springs-14, Uvalde-5, Somerset-5, Knippa-2, Rocksprings-0. The Dilley High School Varsity Girls and Boys Powerlifting teams will be competing in their fourth meet of the season on Saturday, February 3, 2018 at the “2018 Annual Uvaldle High School Powerlifting Championship”.